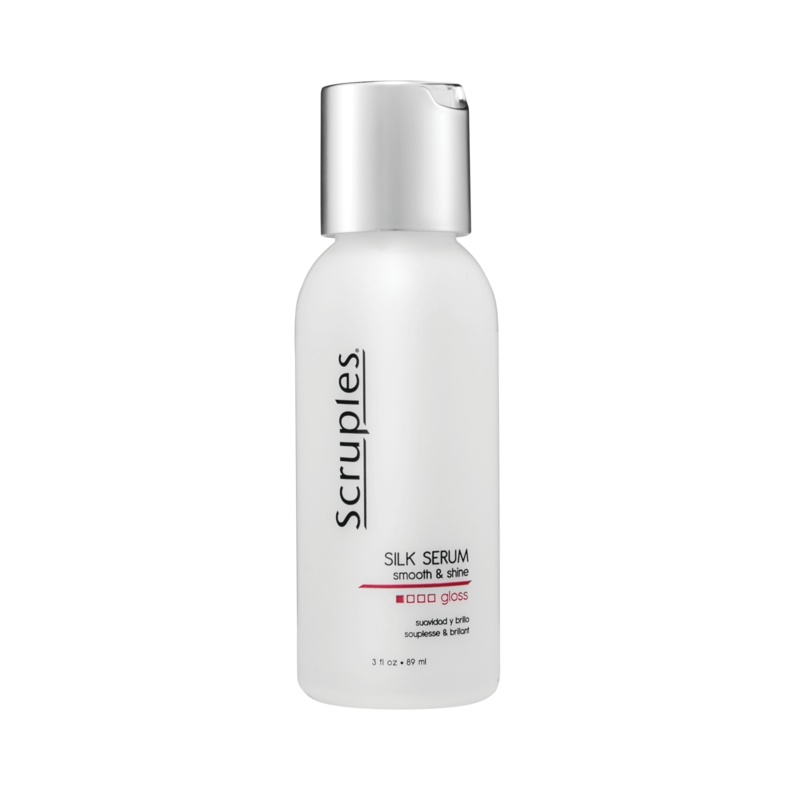 New Silk Serum from Scruples Professional Salon Products is a lightweight, quick-drying, soothing gloss that leaves hair soft with a smooth shine. Great as a workable styling base or as a final touch to add a dazzling, reflective shine to any look! • Seals in moisture for a polished shine. • Fends off frizz and tames flyaways. • Helps to protect against heat damage and color fade while restorative Vitamin E leaves hair feeling healthy. • Helps speed up the hair drying process. • Soothing ingredients work to smooth hair for a frizz-free finish. • Shampoo-soluble formula is perfect for all hair types. • Can be applied to wet or dry hair. • Helps to protect from heat styling, environmental damage and early color fade.